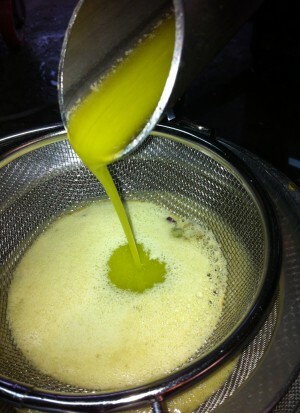 Home » Shall We Make Olive Oil Together? Shall We Make Olive Oil Together? Would you like to become a part of our olive oil symphony this year? 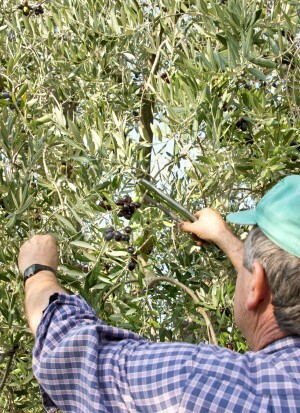 Harvesting Olives and the preparation of Olive Oil is a true symphony. 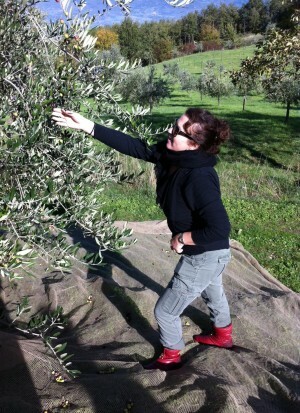 It is a sequence of harmonious activities between man and nature that concludes with the extraction of a superb Olive Oil. Every person who wishes to explore the art of making Olive Oil in the traditional way is welcome. All of the phases of this procedure will be called the “movements” of our Olive Oil symphony. 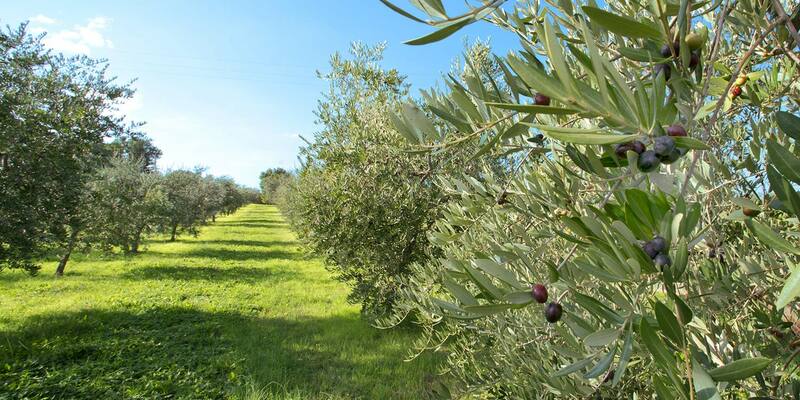 The harvest occurs in our century-old olive groves. 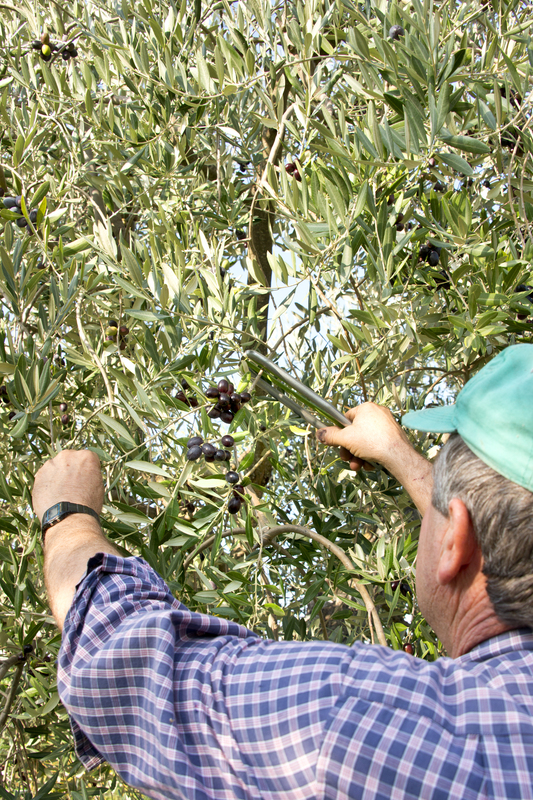 Large cloths are placed under the trees to gather the Olives that we strip off the branches, working from the top of the branch to its lowest part. We can do this with our hands or we can use special pincers or “combs”, but we will not use electrical instruments that could ruin the product. During this part of the process, we must be very careful not to step on the olives on the cloth. The Olives must arrive to the Olive mill in perfect condition. 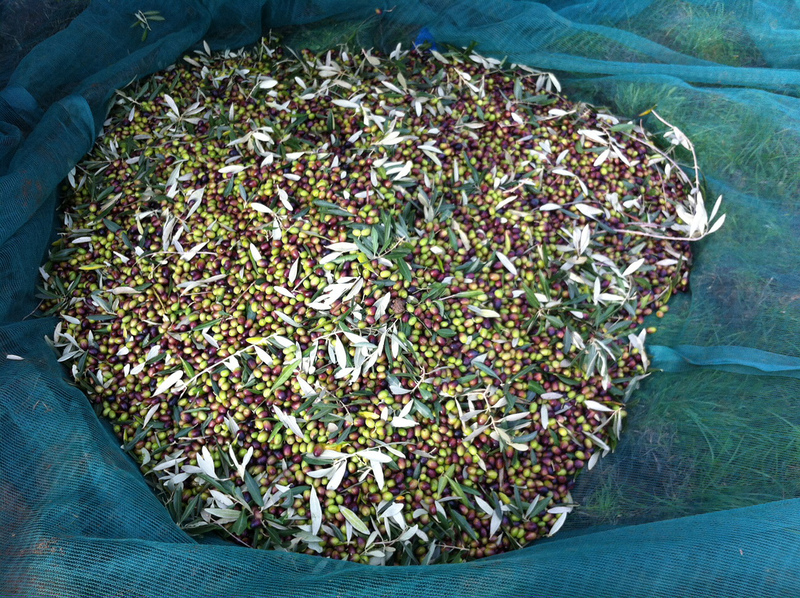 After the harvest, the Olives are taken to the Olive mill in perforated cases. Removing the leaves and washing. 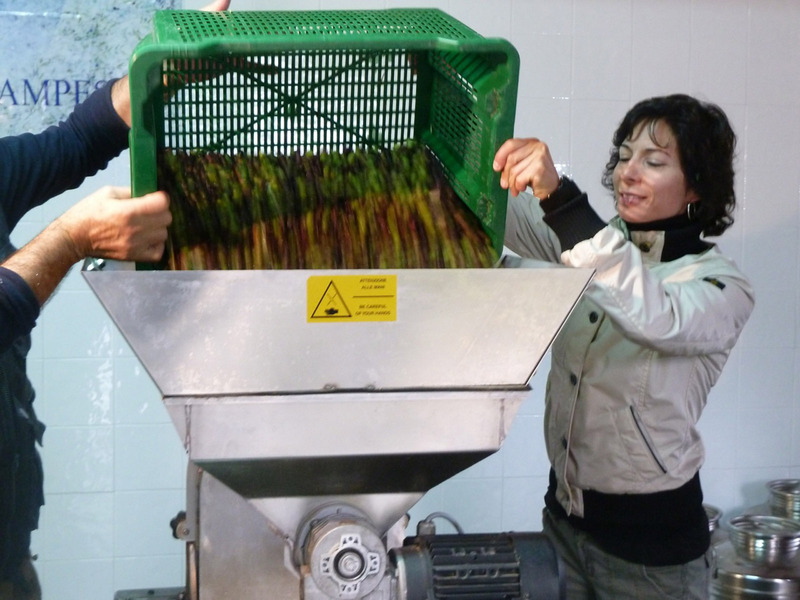 When the Olives arrive at the mill, they are washed in a machine that is called a “washing-defoliating machine”. 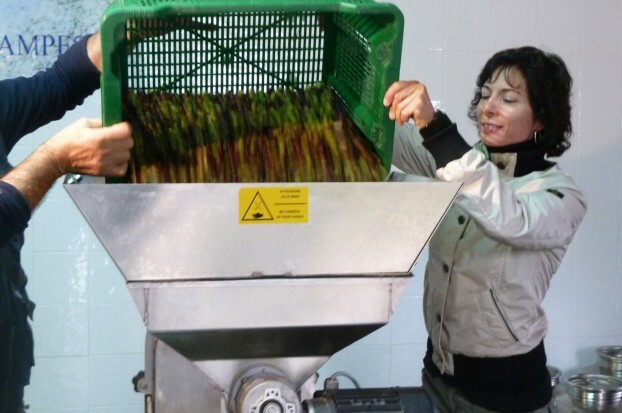 This process eliminates leaves and dirt from the Olives so that they are perfectly clean for the next phase. The clean olives are placed in a knife crusher that will mince both the pulp and pit of the Olives in order to create a dense, coarse paste. The Olive paste that is formed after the crushing is placed in a kneader for 30 minutes of delicate kneading. 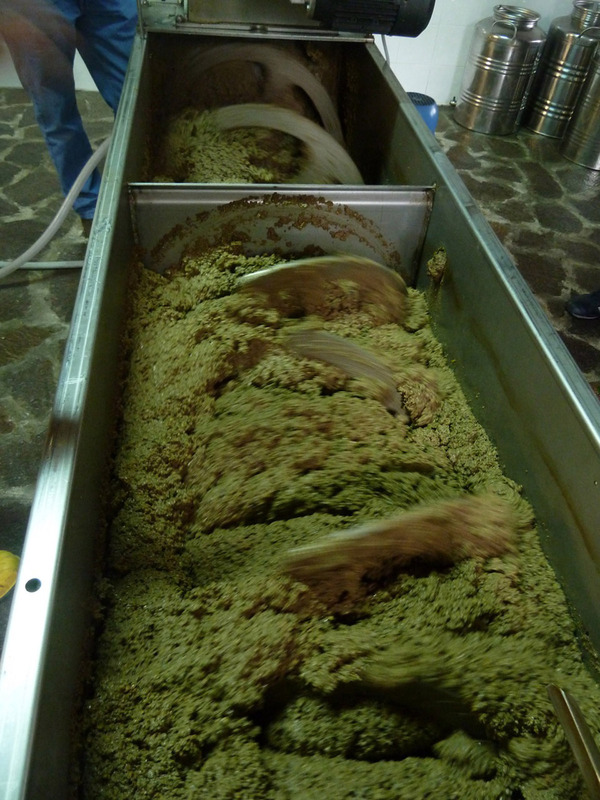 The Olive paste then enters a 2-phase decanter centrifuge that separates the Olive Oil from the refuse and water of the pressed olives. 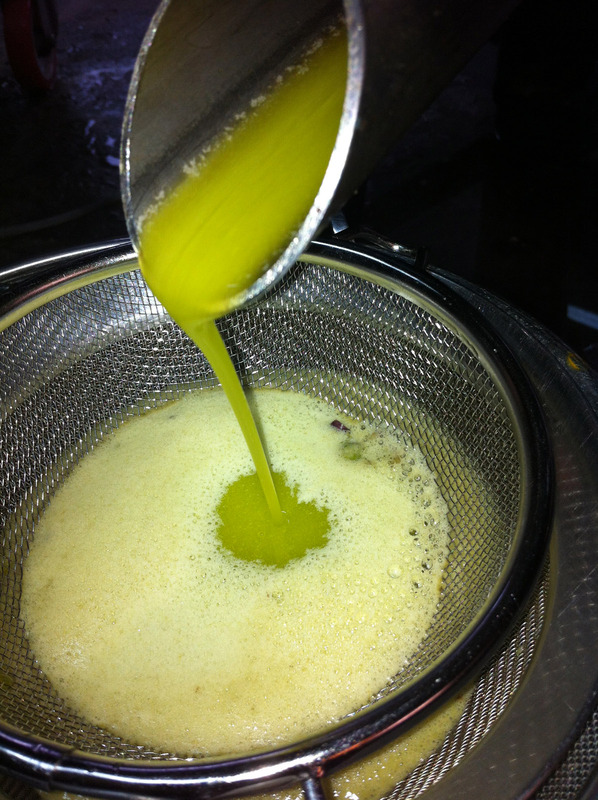 At this point our Olive Oil finally appears with its intense color and aroma. The Oil is carefully placed in appropriate containers so that it does not remain exposed to air and so its organoleptic properties remain intact. Part of the Olive Oil it will be poured directly into 250 ml cans; another part will be preserved under a nitrogen, controlled temperature atmosphere in the Oleoteca. The rest will be available at the Restaurant L’Olivaia in our patented apparatus OliveToLive that ensures the correct preservation and pouring of Olive Oil. 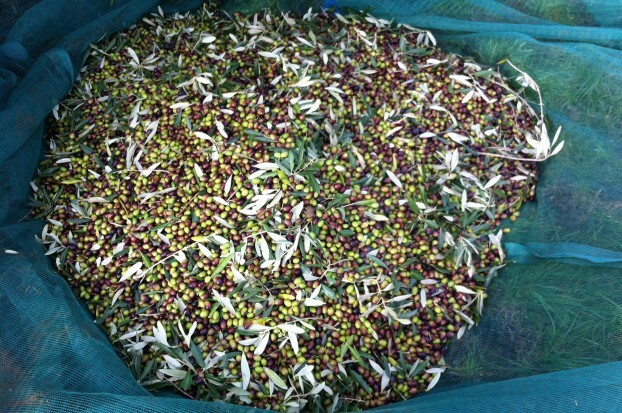 Participating in the harvesting and preparation of our Olive Oil is free. We encourage you, however, to book ahead of time for this experience so that we can properly organize a warm welcome to this important and festive event of our small community. If you book for the Olive Oil Tasting Seminar at the end of October or the beginning of November you can also participate in the Olive Oil extraction process in order to have a complete experience in “Olive Culture”.